Wilson Alvarez started his piano studies at the age of five with his father, Carlos Alvarez. Soon after finishing high school, he graduated from the Music Conservatory Vicente Anda Aguirre in Riobamba, Ecuador, and gained a scholarship to pursue piano studies at the Conservatorio Statale di Brescia, Italy. As a prominent student of Maestra Aida Fino, he frequently participated in recitals and concerts with the Conservatory Statale di Brescia’s Orchestra. His constant pursuit of learning motivated him to take on several specialization master classes such as “Studies of Chopin”, a Master class dictated by the Director of the Municipal Conservatory of Milan, Sergio Marzorati. He placed among the winners of the international piano contest Rodolfo del Corona in 1983 at Livorno, Italy and Franz Liszt in 1984 at Luca, Italy. He obtained his piano degree in 1984. In 2005, in Ecuador, he obtained two more BAs, one in Musical Education Sciences, Major in piano and Instrumental Pedagogy and another one in 2007, where he obtained his teaching degree in the specialty of Musical Pedagogy. Upon his return to Ecuador from Italy, he embarked on a significant piano recital, chamber music and concert agenda, sharing the stage with a variety of musical groups and with the Ecuadorian National Symphony Orchestra. As the National Symphony Orchestra’s pianist for 20 years, he performed both nationally and internationally in several cities of Ecuador, Italy, Portugal, Venezuela, Colombia, Chile, Argentina and the United States. In addition, he was selected to perform several notable Ecuadorian music releases for piano solo and for piano and symphony orchestra. From 1991 until 2002, he performed orchestra conduction studies with prestigious Ecuadorian musician, Maestro Alvaro Manzano Montero. As guest conductor, he has performed with the Ecuadorian Symphony Orchestras of Cuenca, Guayaquil, Loja and the Symphony Orchestra of Quito. In 1991, he was named principal conductor of Quito’s Metropolitan Symphony Band, institution with which he recorded a musical compact disc of Ecuadorian Sacred Music for chorus and band. 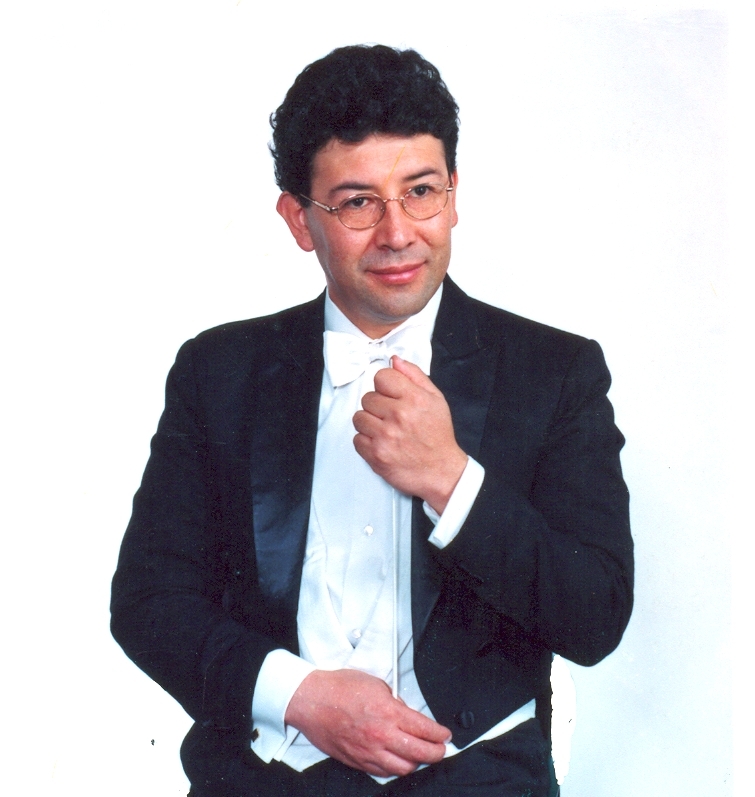 Aware of his musical, academic, administrative and professional skills and capabilities, the board of directors of Loja’s Symphony Orchestra hired him as principal conductor of said musical Institution in June 2004. On October 2005, the Fundacion Nacional Teatro Sucre of Quito, Ecuador organized a special musical contest event to select the city of Quito’s Metropolitan Symphony Band conductor. He participated in this contest and his remarkable performance earned him the first place becoming its principal conductor. Later, in September 2008, he was also named the principal conductor of the city of Cuenca’s Symphony Orchestra. He taught piano and started the Franz Liszt’s Conservatory of Music’s Orchestra in Quito, Ecuador, which he conducted for 5 years. Wilson and his family moved to the United States in 2009 and he actively participated in musical performances in Tri-Cities, Washington. He became the Music Director of St. Joseph Parish in Wenatchee, in December 2010 and he and his family became involved in the musical life there, immediately after moving to town.